Often referred to simply as “the island” by its inhabitants, Sri Lanka is a small, green jewel crowning the vast Indian Ocean. Its terrain is incredibly varied, with exceptional beaches, mountain ranges, rolling tea plantations, rainforests, and wilderness that’s home to hundreds of species, including elephants and leopards. All this is on a land mass only slightly larger than the state of West Virginia. Remains of ancient kingdoms abound, including fascinating Buddhist monuments. Reminders of colonization by the Dutch, and then the British, can be seen in well-preserved forts, hotels, churches, and other structures that date back to the 17th century. For discerning travelers, Sri Lanka has a fine selection of luxury accommodations. Choose among lavish beach resorts, sprawling all-villa hotels, chic and airy boutiques, lovingly restored tea planters’ bungalows, and even deluxe tents for glamping. This alluring country will draw you in with its charm and natural beauty. 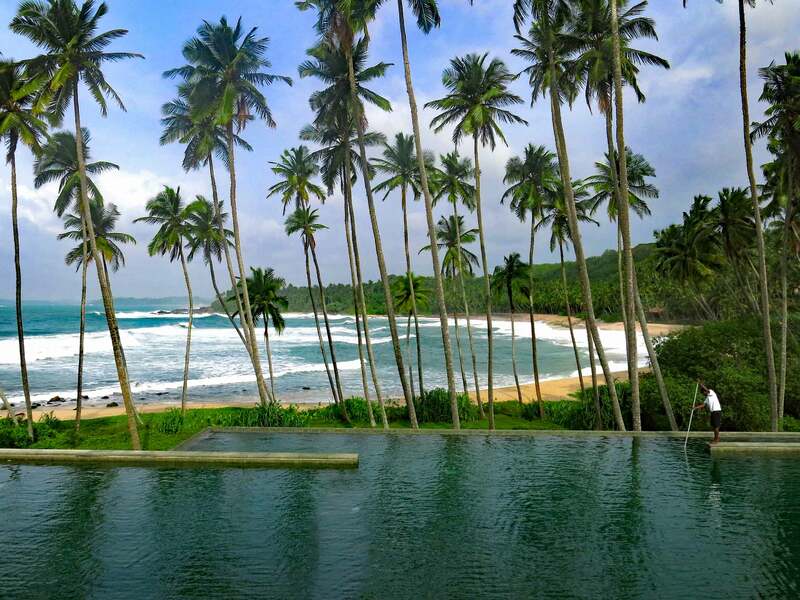 The town of Galle is a true standout, excellently positioned along the southern coastline. The beautifully maintained Galle Fort is a historical must-see. 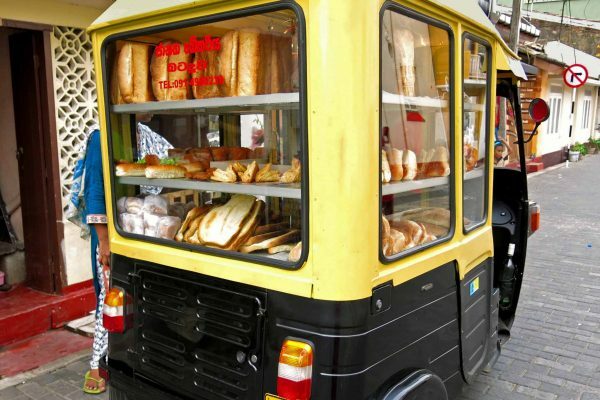 It’s a pleasure to stroll the vibrant old part of town, whose streets are lined with boutiques, cafes, and restaurants. 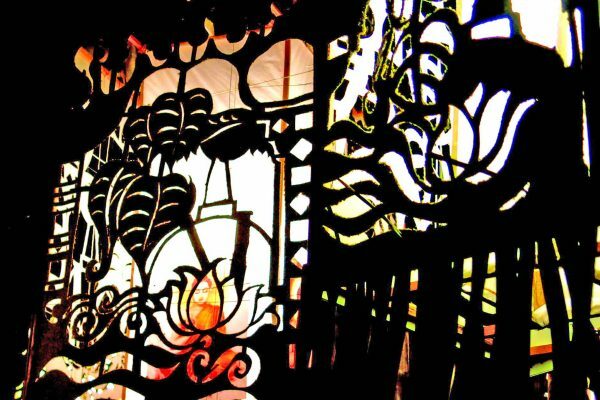 One of the oldest cities in the country, Kandy, is worth visiting for the ancient Buddhist and Hindu temples, particularly the marble Temple of the Tooth Relic, which houses a tooth of the Buddha. 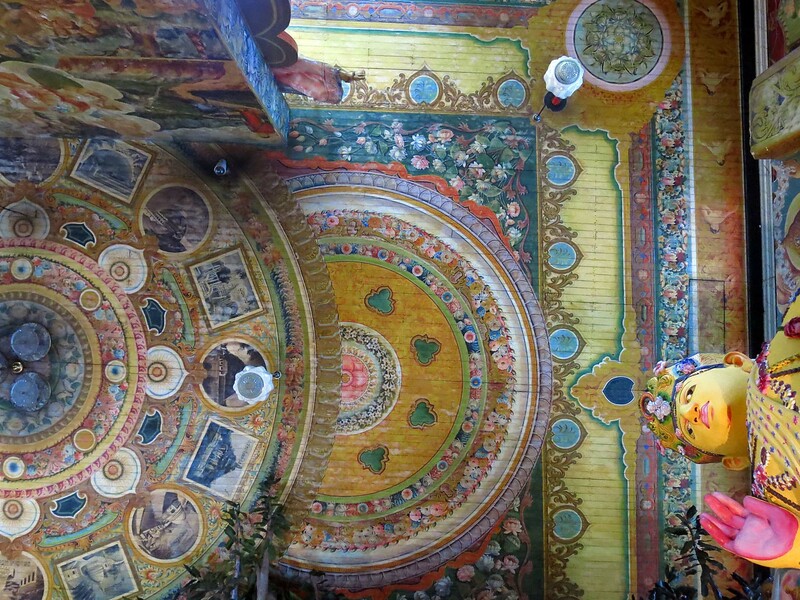 The country’s most elaborate Buddhist festival, the Esala Perahera, happens here each July. Meanwhile, in the bustling capital of Colombo, chaotic streets are interspersed with colonial buildings, and cricket greens can be found on almost every street. The National Museum and other collections can be found here. 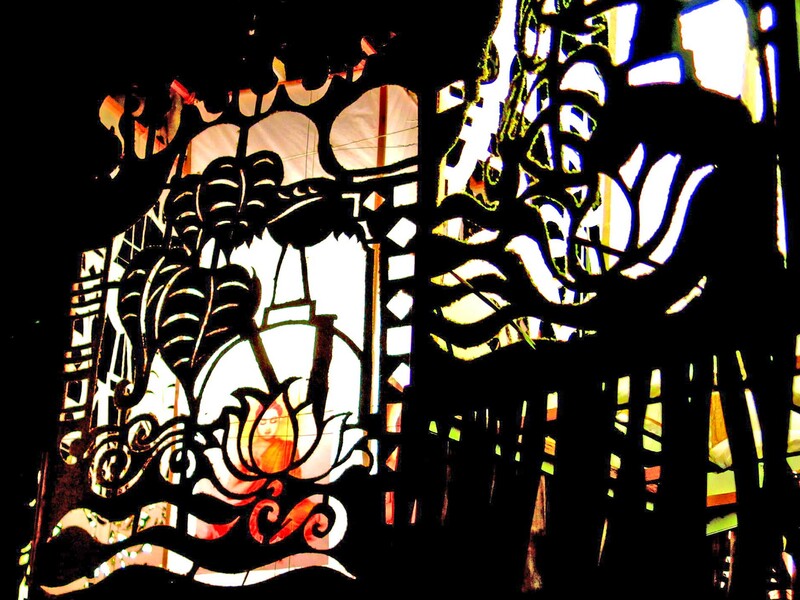 Buddhist temples are mainstays throughout the country, which has a long history as a Buddhist kingdom. 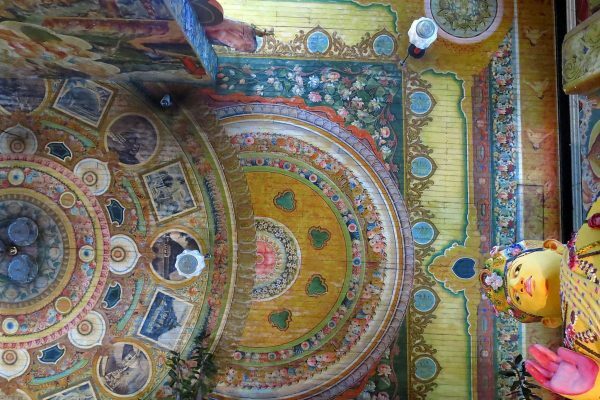 It’s safe to say you’ll never be far from a beautifully decorated shrine or temple, each a little different from the last. 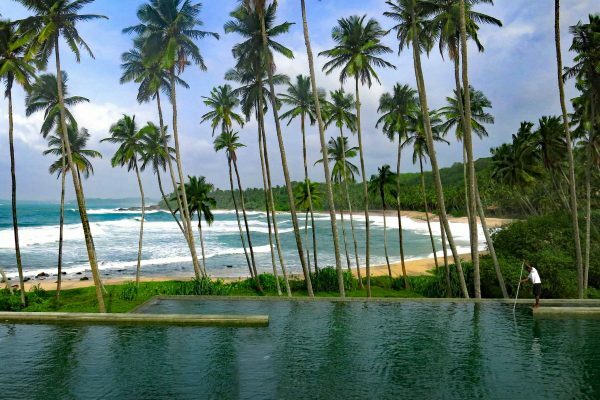 Sri Lanka is the birthplace of prolific architect Geoffrey Bawa, innovator of the “tropical modernist” style that that seamlessly blends nature with eclectic interiors. His designs and influence can be seen throughout the country in hotels, residences, and other structures, including the Sri Lankan Parliament Building. 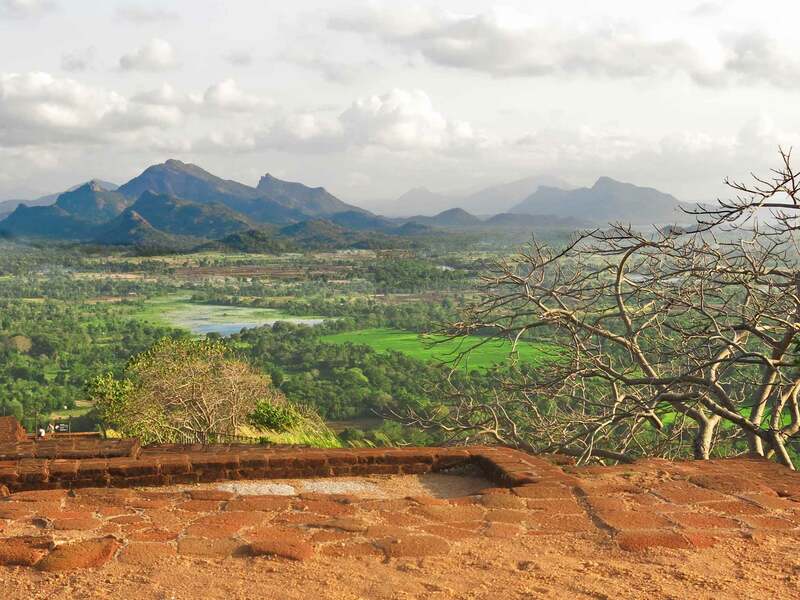 For a relatively small country, Sri Lanka has an impressive total of eight UNESCO World Heritage sites. For more than 2,000 years, the culture has been largely intertwined with Buddhism. The tranquil, ancient Buddhist cities of Anuradhapura and Polonnaruwa form a “cultural triangle” with Kandy, and the ruins of the stupas, monasteries, and temples in each are easily navigated by foot or bicycle. 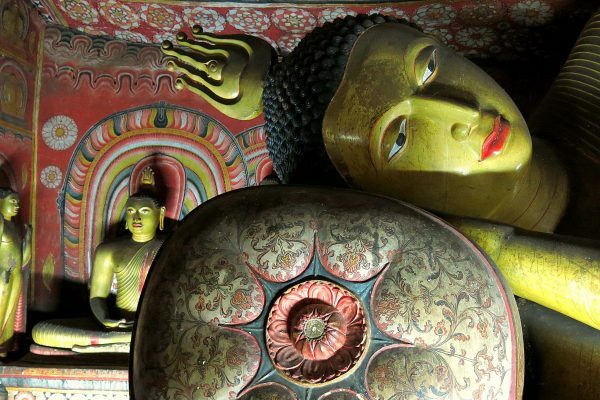 Another significant site, the Golden Temple of Dambulla, also known as the Dambulla Cave Temple, is a series of well-preserved caves ornately decorated with paintings and statues of the Buddha, as well as Hindu gods. 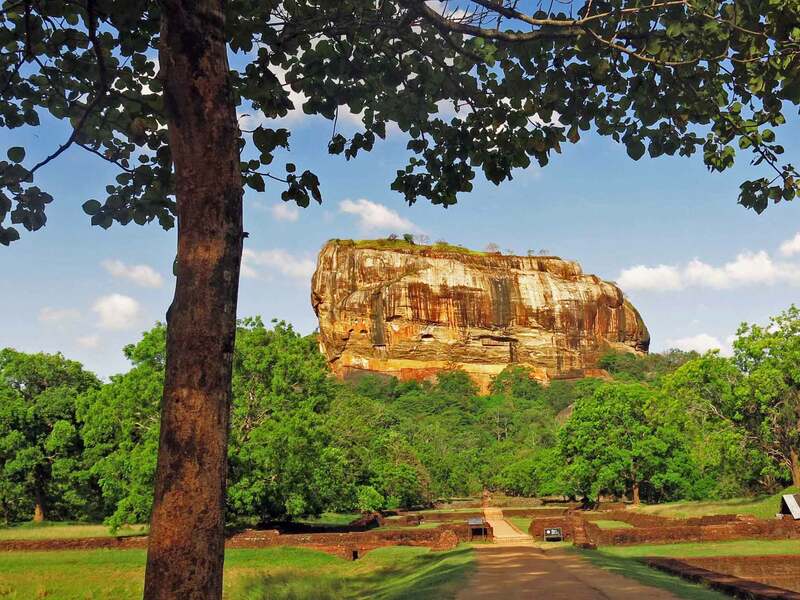 One of the most unique and striking sites in Sri Lanka is the ancient rock fortress of Sigiriya. Referred to as the “Eighth wonder of the world” by locals, ruins of a Buddhist citadel sit atop a column of rock 660 feet (200 meters) high. Another distinctive feature here is a protected nook, partway up the rock, where beautiful ancient frescoes of curvaceous women (perhaps meant to be celestial nymphs) remain intact. It takes work to climb all the stairs, but once you are atop the cliff, catching your breath, the vast expanse of greenery and jungle in front of you is all the reward you’ll need. As dramatic as this site is even now, imagine how it looked 1,500 years ago, when the entrance to the uppermost level was via the mouth of an enormous lion made of brick. Only its giant paws remain today. Turquoise water laps at Sri Lanka’s endless white coastlines. Blue whales can be spotted at beaches such as Mirissa and Trincomalee, incredible surfing spots can be found in Weligama and Arugam in the south, and Kalpitiya in the northwest is the capital of kitesurfing. Most beach towns have studios that offer yoga classes (sometimes right on the sand), and laid-back beach bars keep visitors entertained in the evening. 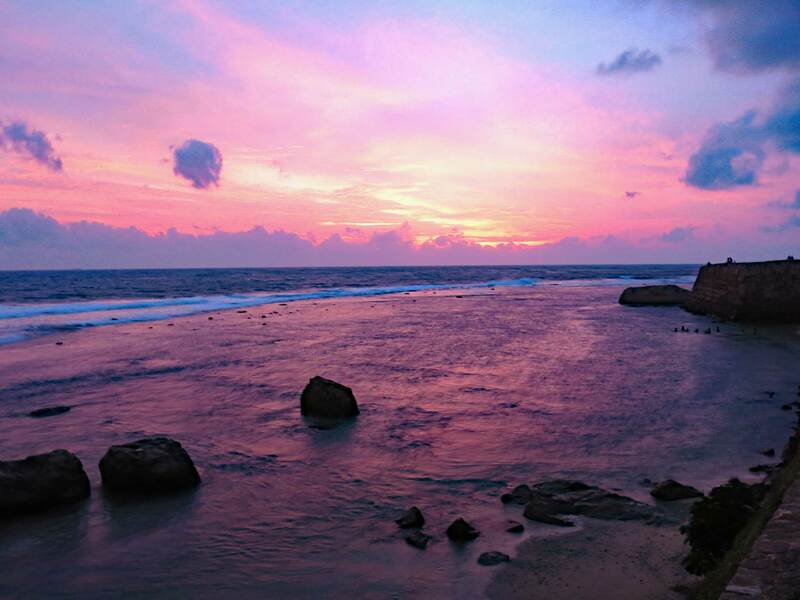 Tangalle is a sleepy little town on one of the country‘s southernmost beaches. It has luxe resorts, an Old World charm, and plenty of hibiscus trees; the relaxed atmosphere allows time to slip away as you lie on the beach, basking in sunshine. The beach areas around the country have different weather patterns, so we’ll be sure to book you at the sunniest spots for your travel dates. 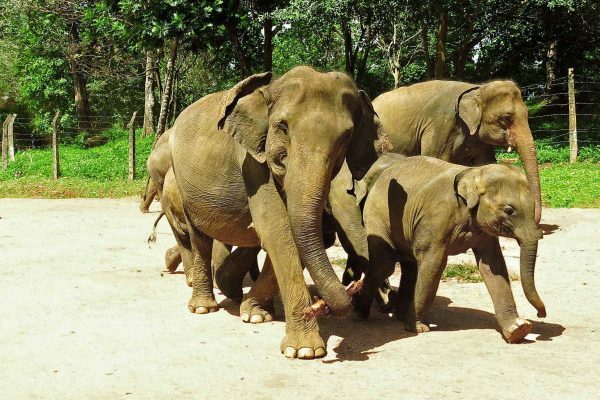 Udawalawe National Park is home to hundreds of wild Asian elephants, as well as other mammals and a variety of birds attracted by the reservoir. 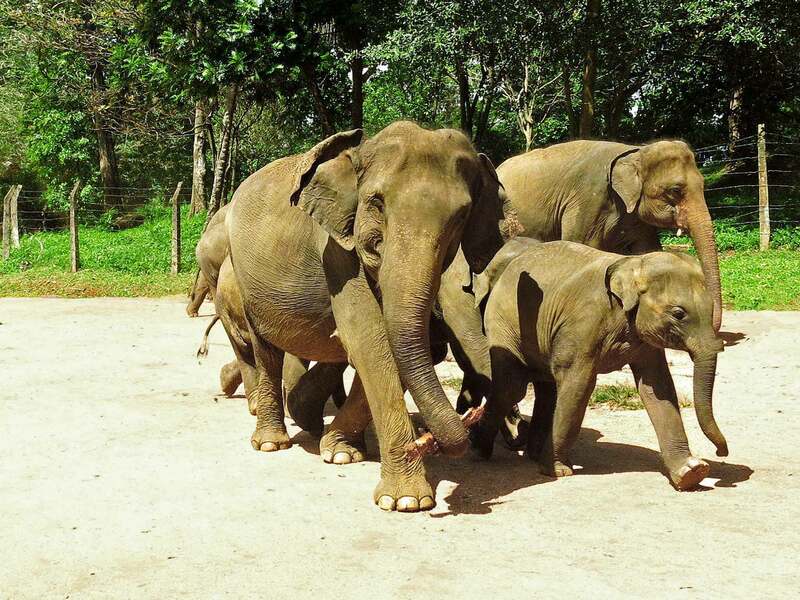 Herds of elephants, with young ones of various ages, are frequently spotted on safari here. 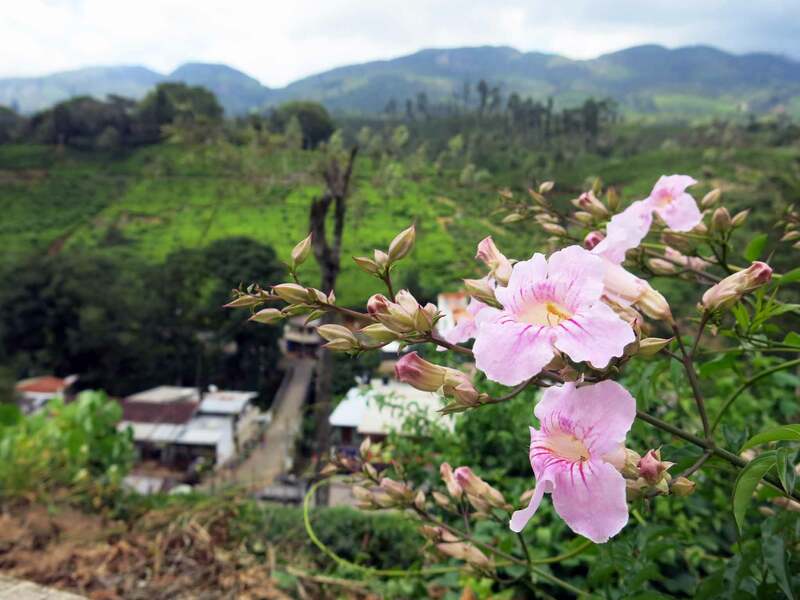 The central province surrounding the hill-country city of Nuwara Eliya is a picturesque wonderland where tea is grown on rolling hills, troops of cheeky monkeys relax in scenic overlooks, and colonial-era Anglican churches and Tudor-style cottages are shaded by palm trees. Hiking through tea plantations is a popular activity here, as is touring the tea factories and tasting the different varieties grown there. Also in this region is Adam’s Peak, a distinctive, 7,349-foot (2,243-meter) mountain. Most choose to begin their climb at night so they can witness the stunning sunrise when they’ve reached the soaring summit at dawn. The mountain is also a pilgrimage site, regarded as holy by several religions. 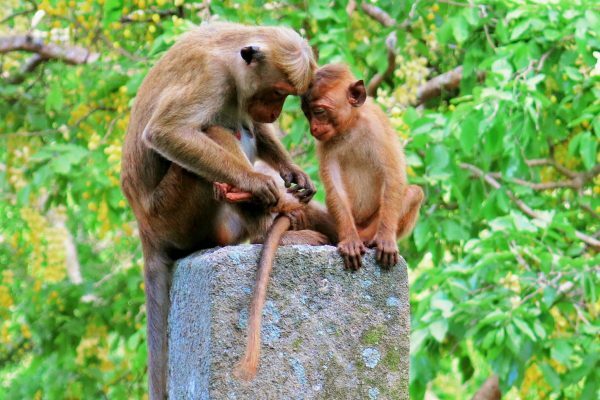 On the southeast coast, Yala National Park is a wildlife reserve with elephants, crocodiles, and monkeys, though leopards are the real stars here. Yala is known for having a dense population of leopards and is considered one of the best places in the world to see them in the wild. The pristine Knuckles Mountain Range (so called because its peaks resemble a fist) is an ideal location for off-the-beaten-path hiking and other ecotourism activities. 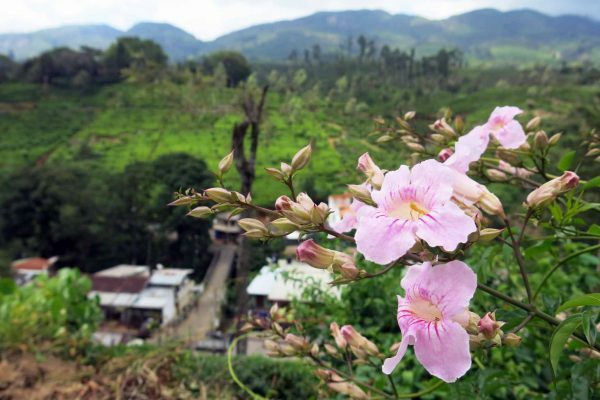 The area is roughly a two-hour drive from Kandy. Situated just south of India, the country’s cuisine is heavily inspired by its neighbor, with some British colonial influence for measure. Dishes usually have an element of coconut, and you’ll never go wrong with a vegetarian dish (even if you’re a die-hard carnivore). Breakfast here is a treat: Be sure to try the hoppers, concave pancakes made from fermented rice flour. String hoppers are even more fun. The dough is pressed through a sort of sieve to create delicate noodles before cooking. Rice and curries here are flavored with a uniquely Sri Lankan mix of spices, with a side dish of sambol (shredded coconut) being a local favorite. Fresh spices, especially locally grown cinnamon, typically round out a meal to add depth and complexity to each dish. Meals tend to be ordered almost tapas-style, shared for variety, and are always filling. 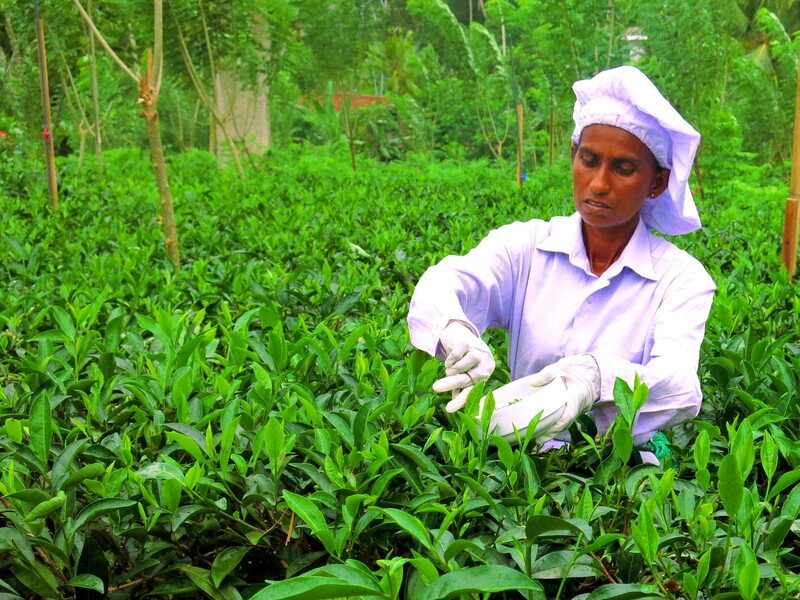 Sri Lanka is the world’s fourth-largest tea producer, so almost everywhere you go you’ll find Ceylon tea. 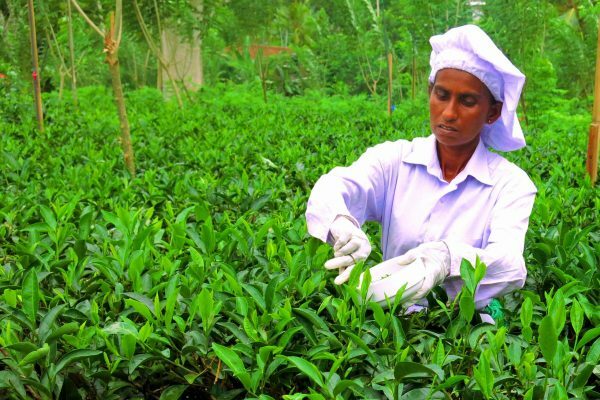 Add a tour of a tea estate to your trip, especially if you visit the highlands, to see how tea is produced and to taste it almost straight from the field. 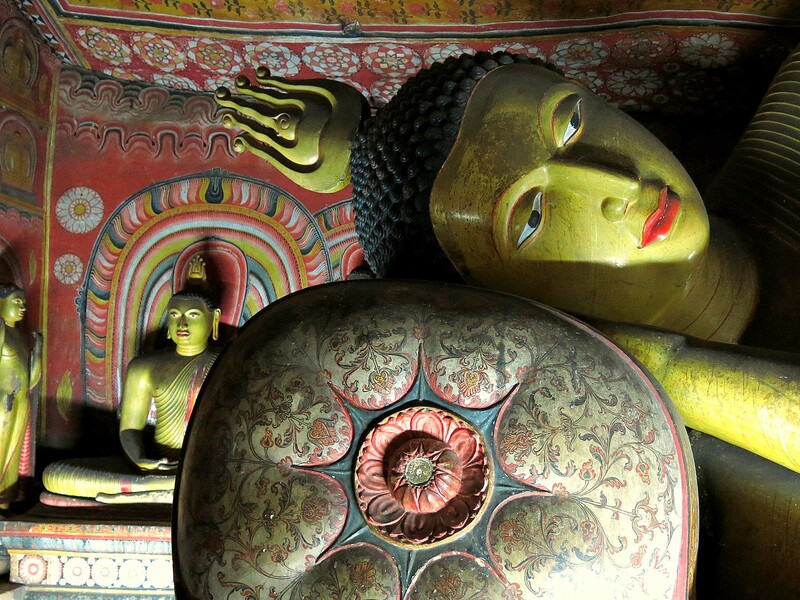 Customized tours in Sri Lanka starting from US$700 per person/per night. The majority of visitors fly into Bandaranaike International Airport, near the capital city of Colombo, with flights arriving from India, the United Arab Emirates, Kuala Lumpur, Singapore, Bangkok, and Hong Kong. 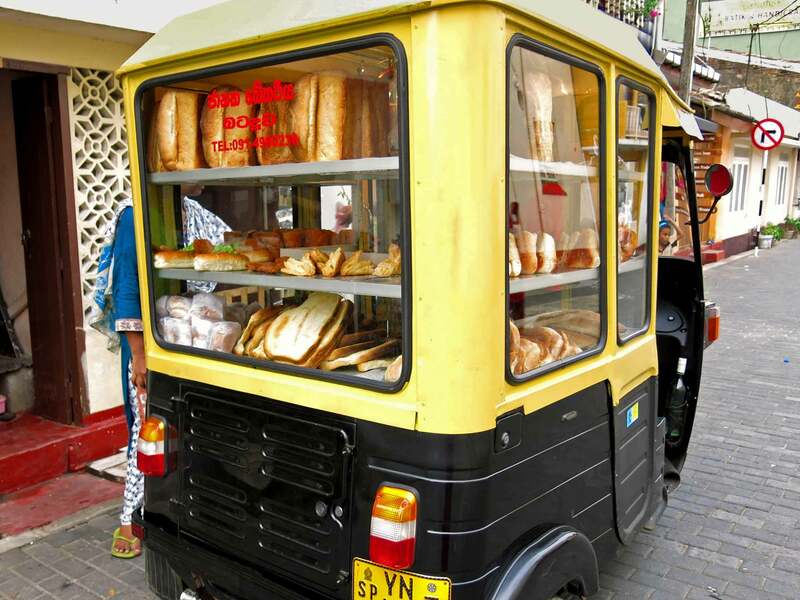 Tours to Sri Lanka are often combined with tours in India or Dubai. Additionally, there are direct flights from Sri Lanka to Male, in the Maldives. A popular combination is a cultural tour of Sri Lanka followed by tropical luxury in an overwater bungalow on an island in the Maldives. Sri Lanka is generally warm and humid, with cooler temperatures in the higher-altitude hilly regions and in the evening. Light layers of clothing made of natural fibers are most comfortable. Locals tend to dress conservatively, so it is respectful for visitors to cover their shoulders and knees, especially when visiting temples or traveling through less-urban areas. Shoes must be removed to enter some temples, so sturdy sandals or slip-ons are convenient. 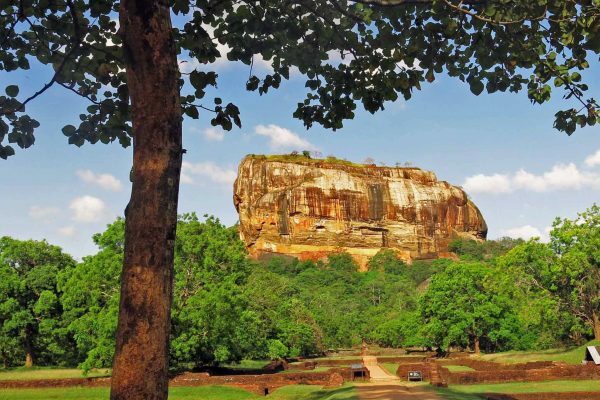 When climbing up to Sigiriya or the Dambulla caves, you’ll find comfortable, supportive footwear useful. Seaside resort areas are more casual, so shorts and tank tops are fine at the beach or by the pool. When in town, it is polite to be better covered. 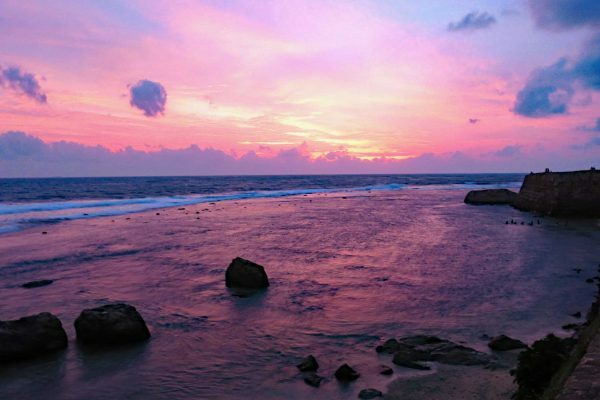 Sri Lanka’s coastal areas are warm throughout the year, averaging 77°F-86°F (25°C-30°C), while the interior highlands are cooler, averaging 59°F-64°F (15°C-18°C). However, finding the best time to go can be tricky, as there are two monsoon seasons: May to September in the west and south-west coasts and highlands, and then October to March in the east coast and the north. Further complicating things is that October and November can be stormy throughout the country. 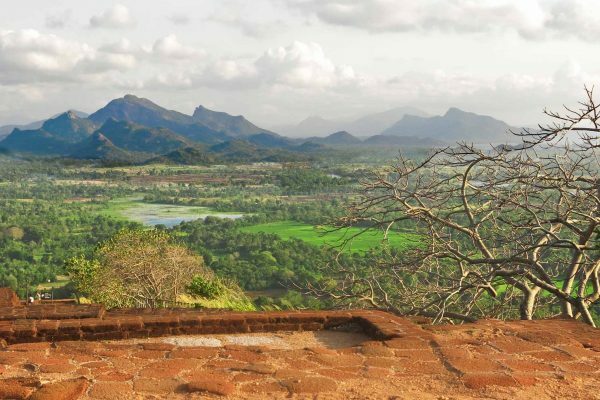 For a tour that combines cultural sites, the highlands, and south-coast beaches, we recommend traveling to Sri Lanka from December to early April.